This week, Raffles Press continues with our very own book review column, in collaboration with MediaCorp’s e-bookstore, ilovebooks.com. In the third of a series of fortnightly installments, Trishala Thamilselvan explores how Cheryl Strayed’s extraordinary memoir, Wild: A Journey from Lost to Found, shows us the true meaning of grit, emotion and a lot of courage. Living in Singapore, where the highest “peak” is Bukit Timah Hill with an altitude of barely 164.64 metres, it is hard to imagine a hike up mountainous regions where rattlesnakes, bears, and heavy snowfall lurk in the shadows, ready to pounce on you. The most you would encounter would probably be an army of mosquitoes, a number of fallen branches, and the sweltering humidity. 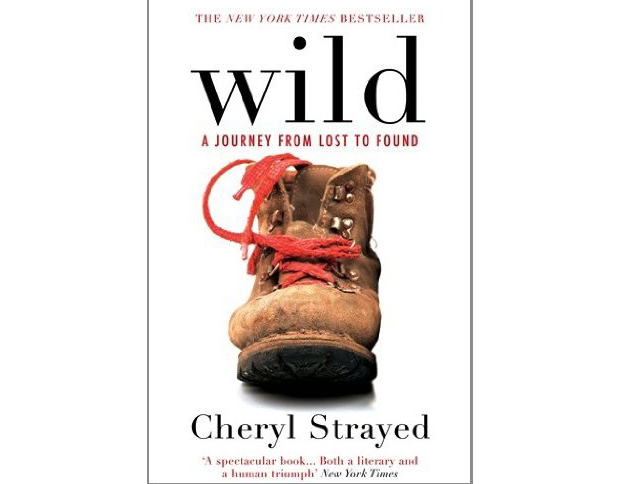 Yet, Wild: A Journey From Lost to Found by Cheryl Strayed helped me experience just that. Clichéd as it may seem, the book transported me to the dusty, dry and lonely paths of the Pacific Crest Trail (PCT), of which Strayed conquered a large portion with a solo hike from the Mojave Desert to Washington, D.C. While her recounted experiences were really not that extraordinary, they are certainly raw and real. Throughout the course of reading this wonderful memoir, you almost become Strayed’s friend — someone who silently and invisibly accompanied her along her courageous solo hike. Your heart skips a beat when she comes face to face with a Texas longhorn bull, and you feel helpless when she loses one of her hiking boots when it topples over the edge of a mountain. But without taking anything away from the pure adventurousness of it all, Strayed’s past is clearly intertwined with her recount of her hike, helping us understand why she decided to undertake such a daunting task in the first place. Admittedly, the idea of “finding oneself” seemed rather overrated to me initially — but once you see her success and understand her elation, her decision appears to be unquestionable; she had wasted too much of her life after her mother’s death and separation from her husband, was drowning in her pain and struggling in her confusion and needed to provide herself with a reason to “go on”, to move forward. She does provide us with a rather poetic explanation for her choice of her own last name, Strayed, which she adopted after her divorce. “Its layered definitions spoke directly to my life,” she writes, “and also struck a poetic chord: to wander from the proper path, to deviate from the direct course, to be lost, to become wild, to be without a mother or father, to be without a home, to move about aimlessly in search of something, to diverge or digress.” Indeed, she had made some questionable decisions, experimented with drugs, lost her parents as well as her sense of self. And so it seems that her choice perfectly reflects both her past and her decision to do the hike: she was lost, and what she needed to find was herself. Perhaps in the end this book provides the reader with an understanding of soul-searching, in an almost literal sense. Most of us would probably never make such a life-altering (and more importantly, life-threatening) decision, but what makes this book so memorable is that it lets us feel glad for, and even proud of, someone who did and succeeded. The writer’s e-book was sponsored by Mediacorp Interactive. To purchase the e-book, please visit http://www.ilovebooks.com/ebooks/home/2E47BE1B-BF62-428E-A98D-7861C3029134/Wild_A_Journey_from_Lost_to_Found. As part of this collaboration, all RI staff and students are eligible for an exclusive 10% discount from Sept 17 to Sept 30. Simply key in the promo code (SGMIG120246RIR) at the checkout by filling in the blank, and click APPLY.